When you use ancillary characters on a show, naming them in a descriptive way helps the audience understand their purpose or position on your program. 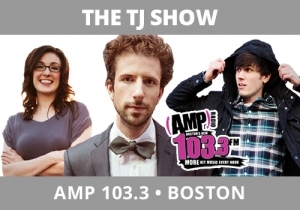 The TJ Show, AMP 103.3, Boston regularly uses the other air talent on the radio station as a way to reflect its youth and help promote the other shows. Corrine does middays and she is bold and in charge as an air talent – she has a presence very few miss. She also has a ton of drama in her life, which is great content for any show. So, when she’s used on TJ’s program, they refer to her as Corrine the Hot Mess Express. The descriptor helps the audience understand the kind of content and stories Corrine adds to the breaks when they talk with her. That it’s alliterative helps it being memorable, too. Ultimately, to build personality images, any show is judged based on the connectivity and entertainment value of its personalities and content. Corrine adds in a way that is very positive. That the show refers to her in this way helps, as well. You’ll leave this break remembering Corrine – which is the goal.